An exciting new position is available with a newly-formed team within the Corporate Affairs Department of Fiji Airways. 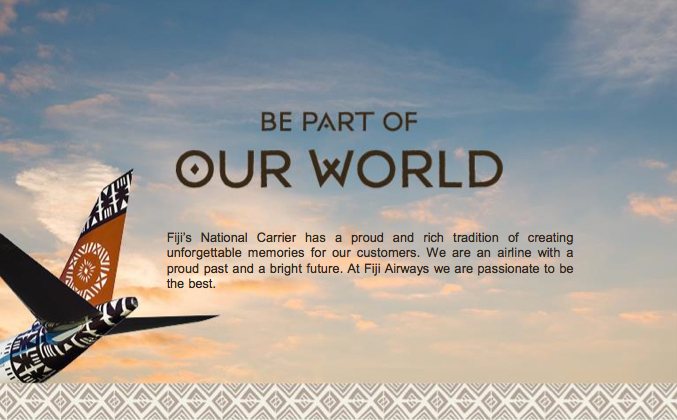 The Onboard Advertising Sales Coordinator is responsible for devising and implementing advertising opportunities that sells Fiji Airways prime onboard media space, which includes the inflight magazine, inflight entertainment system, Premier Lounge and boarding passes, to clients. This role actively identifies potential clients and searches for innovative methods to streamline processes and deliver superior results for customers and Fiji Airways. This position will be based in Nadi & will report to the Manager Public Relations. Carry out additional duties or special projects as and when delegated by Manager Public Relations. Persuasive ability, confidence and the ability to build and maintain relationships with customers is key.